Spanish League giants Real Madrid are reportedly planning to re-launch their interest in Liverpool striker Sadio Mane. The Senegalese forward has been impressive for the Reds having scored 17 goals in 31 Premier League appearances this campaign. He scored one of the goals that inspired his side to a slim won over Fulham at Craven Cottage as the Anfield side returns to the summit of the log temporarily. Daily Mail reports that Los Blancos tried signing the former Southampton forward last season but the deal ended up sinking as the star remained with his EPL side. 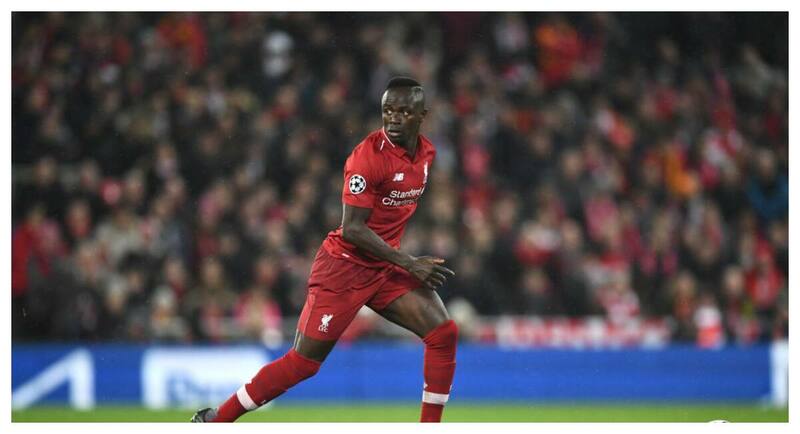 The publication further reports that Mane had agreed a deal in principle to join Madrid, before Zinedine Zidane walked away from the hot seat last summer. Meanwhile, fresh reports in France claim Madrid and Zidane are set to go after the attacker who has helped Liverpool to maintain their title contention this season. Real are equally eyeing a move for Chelsea superstar Eden Hazard who has until 2020 before his contract expires at the Stamford Bridge. The Belgian international seems to have made it clear he does not want to continue at the club after failing to pen new deal. He has equally scored 13 goals and 11 assists after 30 Premier League appearances since the star of this season last August. The 28-year-old was however unable to save the Blues from losing 2-0 to Everton on match day 30 at Goodison Park on Sunday. Legit.ng earlier reported that Senegal international Sadio Mane has signed a new long-term deal with Liverpool. The striker has been impressive for the Reds since he joined them from Southampton in 2016 for a transfer fee of about £34 million on a five-year contract. According to a statement on the club's website, Liverpool have already handed improved deals to the pair of Mohamed Salah and Roberto Firmino, while informing Mane that he will also be rewarded for his contributions to the club’s progress in the Champions League last term.